Meet Jessika Cates of Collective Individuals. 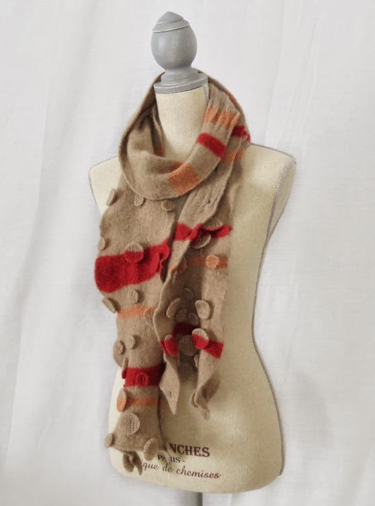 She creates a variety of super cute and beautiful knitted scarves, necklaces, hats and more. We are luck to have her not only be apart of ourHoliday Show at the Leedy-Voulkos Art Center, but she also is teaching an amazingworkshop at our studio. Please take time to read through her bio and a description of her workshop. If you have always wanted to learn how to knit or want a refresher, she is your lady, seriously!! My name is Jessika Cates, and I am a midwesterner who loves to explore and combine different materials and craft processes, and share these explorations with everyone. Ever since I was little I have tried making money by selling things that I love. For example, it was very common for me to have a bracelet stand instead of a lemonade stand. This love for getting my work out into the world gave way to my etsy shop, Collective Individual. Many pieces I make are one of a kind, and not made in bulk. So When you see my work for sale, keep in mind that each piece is unique and as individual as you. I feel that by making and sharing these creations, I am able to allow customers, friends, and family members into my own little world of creativity. In this beginning knitting class you will learn how to cast on, knit, purl, increase and decrease, knit in the round, and bind off. Don’t know what any of that means? That’s ok! You’ll learn that, too, along with a couple of different decorative stitches. 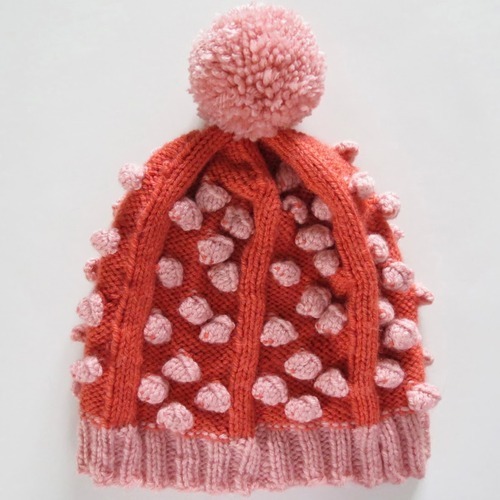 Everyone will complete an adorable winter hat, designed by Jessika herself. Supply fee includes knitting needles and pattern. Students will supply their own yarn. Please click on the link to sign up for her workshop.